J&R Hall Transport Inc. takes pride in being an active member of the community. We sponsor and support many organizations across Canada. We’re always looking for opportunities to support organizations in our community. Contact us to inquire about a sponsorship. 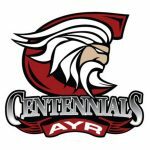 The Ayr Centennials are an Ontario Junior C Hockey Club based in Ayr, Ontario. 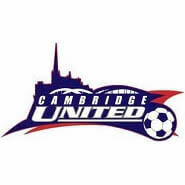 Cambridge United Soccer is the rep soccer team for the Cambridge Youth Soccer organization. Habitat for Humanity is an international, non-profit organization working towards a world where everyone has a safe and decent place to live. 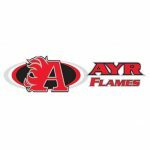 The Ayr Flames are the Ayr Minor Hockey Club. The Ayr Skating Club offers educational and competitive skating programs with NCCP certified coaches in Ayr, Ontario. The New Hamburg Firebirds are a Canadian Junior C Hockey Club based in New Hamburg, Ontario. The Ayr Ice Cats are the Ayr Minor Ringette Club. The rugby team for Preston High School, located in Cambridge, Ontario. Ayr Minor Soccer Club has been providing a youth soccer program in the Village of Ayr for over 14 years and has grown over the years to a membership of over 530 players (ages 5-19).